Crafted from 100% Combed Long Staple Cotton, our 200 Thread Count Bedding will transform your bed into your favorite getaway with its crisp and breathable percale. 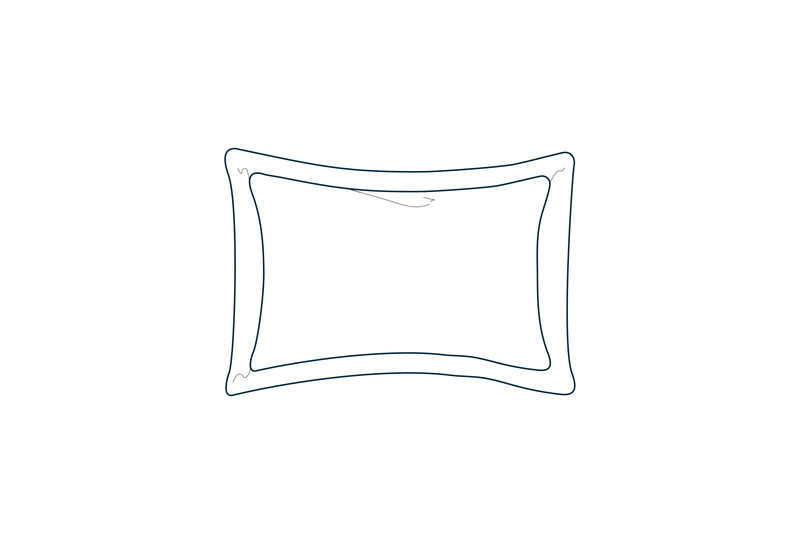 Add our 20” x 20” square throw pillow to infuse comfort and style to your bed. Play around with design by placing one or several pillows in front of the pillowcases or shams. Our sham is decorative pillow covering available in standard, king, and queen sizes. It can be placed in front of the euro sham to enhanced the next layer of design, or serve as an alternative to the regular pillowcase. Our 26” x 26” Euro Sham is a large, decorative pillow covering. Finished with flanges, and featuring an envelope closure, this squares shaped sham is placed at the back of the bed to ground the design. A small decorative covering that fits a 12” x 16” pillow, our boudoir can be placed in front of each sham, pillowcase, or larger decorative pillow to add color and personality to your bed. Pillowcase 21" x 31" 21" x 37" 21" x 27"
Shams 21" x 30" 21" x 37" 21" x 26"
Our 26” x 26” euro sham is a large, decorative pillow covering. Finished with flanges, and featuring an envelope closure, this square shaped sham is placed at the back of the bed to ground the design. Our sham is a decorative pillow covering available in standard, king, and queen sizes. It can be placed in front of the euro sham to enhance the next layer of design, or serve as an alternative to the regular pillowcase. A practical component of the bed, our pillowcases are sold as pairs and feature a wide side opening for the simple application and removal of pillow inserts. The fitted sheet fits tightly over the mattress with elastic corners. With 18” deep pockets, our fitted sheet is essential for defining a taut and crisp bed. The flat sheet is placed on top of the fitted sheet, and can fold over your top layer of bedding. Our coverlets are perfect for colder nights as an extra layer under the duvet, or as a decorative layer on top with the duvet folded at the foot of the bed. Duvet covers serve as a decorative covering for our comforters. Our discrete button enclosure secures the insert, while allowing for easy removal for laundering. Inserts sold separately. Drape our throws at the end of the bed, or toss them over the side of a sofa, for an inviting and cozy feel. Inspiring and versatile, the decorative pillow is the centerpiece and personality of the bed. A decorative pillow can infuse texture, color, style, and depth.